The VIPROX™ program is a clinically proven, safe and patented therapy for the treatment of degenerative diseases related to a compromised immune system, such as AIDS. All three components of the therapy work in synergy to help regenerate dysfunctional cells. Topical use may also help improve vision, prevent cataracts and macular degeneration, as well as help reduce the signs of aging, such as damaged skin and age spots. The complete therapy, VIPROX™, acts as a key for cell receptor sites, which plays a major role in protecting each cell, tissue and organ within our bodies. The combined products accelerate the detoxification of your cells and potentiates the assimilation of nutrients at the cellular level. They enhance the digestive functions and promote an alkaline environment needed to rebuild the body. It stimulates the detoxification process by promoting hydration at the cellular level; which explains the extra energy, improved mental clarity and overall well being. VIPROX™ is the most complete therapy in its category. GSH Complex® is a precursor for intracellular glutathione and promotes optimal health. Glutathione (GSH) is backed by over 120,000 medical articles. It contains a perfect chain of amino acids, and is known to boost the immune system and be the body’s “Master Antioxidant”, an important healing agent. Not only by giving your body what it needs, but by improving its own ability to heal itself working directly at the cellular level. 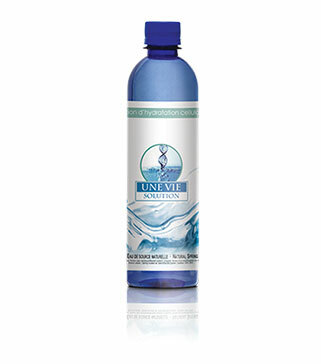 It creates a stronger cellular activity by detoxifying your system and creating a better nutrient assimilation. Why do I need all three products? While glutathione precursors will do 65% to 75% of the work by establishing cellular health, for an optimal balance, it is important to add a cellular hydrating solution and digestive enzymes to your diet. The perfectly balanced therapy, VIPROX™, contains GSH Complex®, glutathione precursors in a tripeptide amino acid chain format, Une-Vie™, a cellular hydrating solution and Triozyme®, digestive enzymes. By combining cellular hydration, digestive efficiency and cellular health, VIPROX™ covers all of what is needed to have a well-balanced environment. With these three elements, in their purest form, not only do we enhance life, but also we give patients a true quality of life a perfectly rounded, balanced environment. You should start seeing results 2 weeks to one month, guaranteed. Usually, the first thing VIPROX™ users will notice is a gain of energy, an increase in mental clarity and also a better and more restful sleep. Some, mostly women, will see positive changes in their skin. But don’t get discouraged over detox or healing effects. 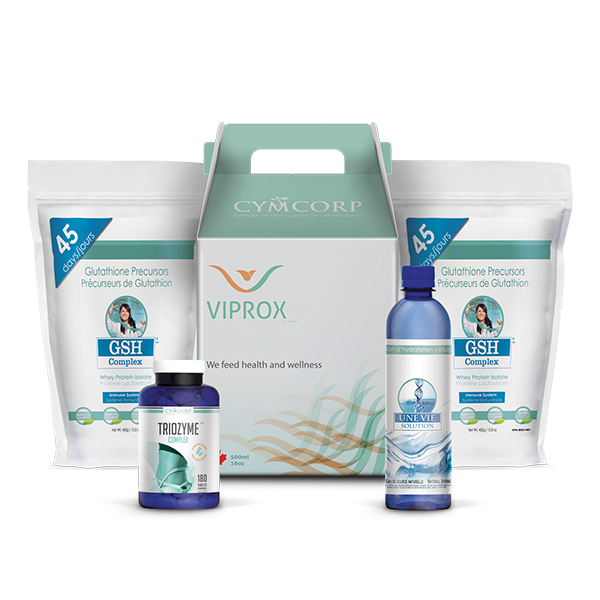 VIPROX™ creates a full body detoxification meaning that toxins will need to evacuate your system. Detoxification effects vary with the person; it can be anything form diarrhea to headaches or even acne. These are temporary, and they might discourage some people and leave the impression that it’s not working properly, but quite contrarily, it’s working perfectly and you are detoxing from all the bad elements in your body. Actually, if you feel the detoxification effects intensely, you needed to take charge of your health. How does VIPROX™ help in preventing diseases? Learn more in depth about VIPROX™, its ingredients, and benefits right here! This is a background report and independent review written by a former US FDA- California Department of Health Investigator (Retired) on the recent clinical validation of trials on West African HIV2-AIDS patients using Viprox Nutritional Complex (VNC). This study was designed, administered and evaluated under World Health Organization HIV Therapy guidelines. The therapy is designed as a nutritional life extension intervention program, appropriate for resource-poor communities with little or no local institutional medical support for HIV2-AIDS populations. The study population had no exposure to anti viral therapies before or during the Viprox trial.